On Monday morning, the people of Saharanpur in Uttar Pradesh, which goes to polls on 11 April, braved rough weather to reach to Gandhi Park, where Congress president Rahul Gandhi and party general secretary for Eastern Uttar Pradesh Priyanka Gandhi were scheduled to address an election rally. However, the rally was cancelled at the last minute, leaving Congress workers upset and its local leaders angry. Congress candidate from Saharanpur Imran Masood said they immediately got to planning Priyanka's roadshow on Tuesday, but there was no confirmation on whether Rahul would accompany her at the rally. By Monday evening, it was confirmed that Priyanka will lead a roadshow from Gol Kothi to Qutub Sher in Saharanpur from 11.30 am on Tuesday. It was also confirmed that Rahul will be in Bihar's Gaya at the same time to address an election rally. The presence of top Congress leaders in Saharanpur was significant, given that top leaders of other parties have already addressed voters in the region, attacking the Congress sharply at these rallies. In this context, the presence of the party president and top Congress leaders was expected to raise the dipping morale of the party workers. 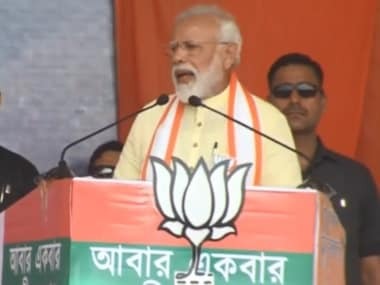 While addressing a rally in Saharanpur on 5 April, Prime Minister Narendra Modi attacked both the Congress and the alliance of the Samajwadi Party, Bahujan Samaj Party (BSP) and Rashtriya Lok Dal (RLD) in equal measure. Modi said Congress candidate Imran Masood, who had said in 2014 that he would cut him into pieces, has Rahul's patronage and love. While campaigning for the 2014 Lok Sabha election, Masood had said: "Voh Gujarat samjh raha he, jaha sirf 4 percent Musalman hai, Yahan (Uttar Pradesh) 42 percent Musalman hai. Gujarat bana dega isse. Uski boti kaat denge, choti choti… (He thinks this is Gujarat, where there are only 4 percent Muslims. Here there are 42 percent Muslims. He will make the state like Gujarat. We will chop him into pieces). Modi had used this statement prominently to attack the Congress and its candidate. On Sunday, BSP chief Mayawati also launched a strong attack on the Congress at a joint rally of her alliance in Deoband, one of the key Assembly constituencies in the Saharanpur parliamentary seat. Mayawati urged Muslims to not vote for the Congress and instead, support the SP-BSP-RLD alliance. 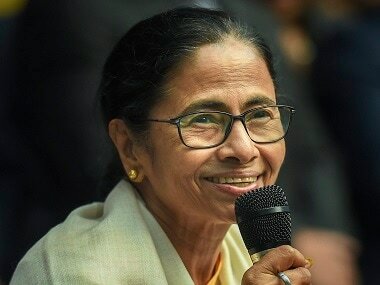 "I am warning you, especially people of the Muslim community, that the Congress is not in a position to fight the BJP in Uttar Pradesh," she said. The salvos fired at the Congress one after another, first by Modi and then by Mayawati, has considerably lowered the morale of its party workers, who are now keenly awaiting Rahul and Priyanka's presence in the region. The Gandhi siblings were expected to raise the morale of Congress workers in the region together. The joint rally in Saharanpur was also important for the fact that it would have been the first full-fledged public rally that the Congress president and the newly appointed general secretary — the biggest star campaigners of the party — were to address in this election season. It would have been interesting to see how the crowd would respond when the two appeared on stage together. The joint rally was scheduled to be held at Shamli in the Kairana Lok Sabha seat, Bijnore and Saharanpur. 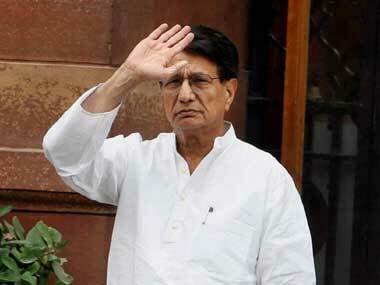 Shamli, Bijnor and Saharanpur will vote in the Lok Sabha election on 11 April. Under Section 126 of the Representation of the People Act, 1951, which governs election procedures in India, all parties must observe an "election silence", which prohibits any form of campaigning in the last 48 hours leading up to voting. Given this fact, the Congress leaders will have a short window to hold their roadshow. In the 2014 Lok Sabha election, Masood lost to BJP's Raghav Lakhanpal by the margin of 65,090 votes. The Congress has fielded Masood against Lakhanpal for the upcoming polls, as well. The BSP has fielded Haji Fazalur Rahman as the joint candidate for the alliance. Rahman, too, is considered a strong candidate who is sure to eat into the grand old party's "minority votes". BSP ally Samajwadi Party is known to get a majority of the Muslim votes in Uttar Pradesh. With Rahman in the fray, the SP-BSP-RLD alliance has a starting edge over the Congress. These two factors have Congress workers worried about their winning prospects, and the presence of their top leaders would have helped build much-needed confidence. 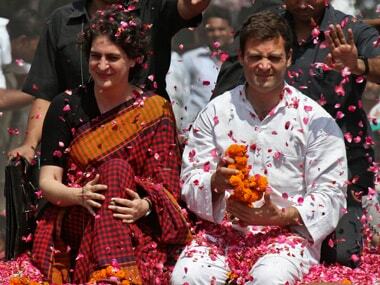 With Rahul opting out of the joint rally, it is now solely up to Priyanka to ensure that a new energy is infused in the party and its supporters just before the elections.